How a Chiropractor Can Help You Combat Your Shoulder Pain? You need to understand at first that your shoulders are designed to carry your arms, and there isn’t a lot of support, with the muscles, tendons, and cartilage that holds the ball and socket joint in place. Hence, they are susceptible to causing dislocation and tearing. A chiropractor for shoulder pain looks for various signs of immobility of your shoulder and assesses the arm to diagnose the problem. A chiropractic method of treatment can aid you in maintaining and aligning a common balance for your well-being. Whether you are suffering from an old injury in your shoulder, or experiencing shoulder pain due to your poor posture, using a chiropractor for shoulder pain involves various chiropractic treatments to help you decrease your pain. The treatments for shoulder pain used at our office are a great way to get you back to being active as soon as possible. There has been a mass awareness all around the globe of the possible long-term side effects of the pharmaceutical drugs including addiction from opioid drugs and the dangers of consuming steroidal drugs which can cause deleterious reactions in your body. With numerous documentaries, newscasts, magazine and newspaper articles talking openly about such crucial health concerns, people have been trying to look for an alternative. When it comes to musculoskeletal pain and discomfort, there is a myriad of research studies that have proved the effectiveness of using the alternative called chiropractic care. Being drug-free, highly effective providing instant relief from your muscular agony, chiropractic care has achieved a high rate of patient satisfaction for many types of shoulder problems, including rotator cuff syndrome, frozen shoulder, and shoulder tendonitis injuries to name a few. The scientific information in support of chiropractic care was published in the noteworthy Journal of Manipulative and Physiological Therapeutics (JMPT), which is considered as a superior source for the various conservative alternative approaches to the traditional medicine, in August 2015. The research was held in pursuance of identifying the differences in patient satisfaction, pain outcome, and also the financial cost borne by patients, with a medical doctor and a Doctor of Chiropractic. Why Choose Montgomery County Chiropractor Center? 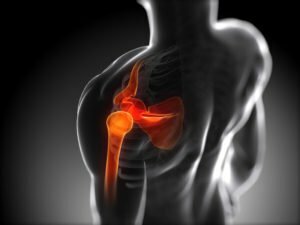 If you live in North Wales, Lansdale, or Blue Bell, PA then the Montgomery County Chiropractor Center will be able to treat your musculoskeletal pains and discomforts with their highly qualified and experienced chiropractor for shoulder pain. Serving patients for over ten years, our chiropractic center provides chiropractic care which is second to none. If you have recently been in an accident and suffered an injury, or even if you just woke up one morning to experience excruciating pain, then it is highly advised that you should consult Dr. Allen Conrad. Montgomery County Chiropractic Center has been serving the North Wales, Lansdale and Blue Bell Pa area for over 12 years and specializes in spinal decompression therapy, massage therapy, and many other chiropractic care techniques to provide you relief from the agonizing pain.